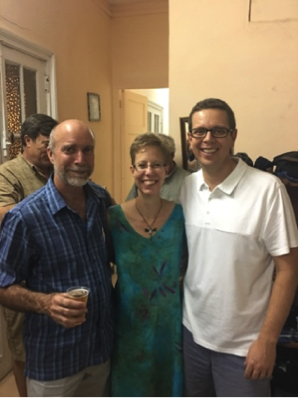 Covenant’s Cuba ministry partnership builds long-term relationships with our brothers and sisters in Christ at Luyanó Presbyterian Church in Havana, Cuba. 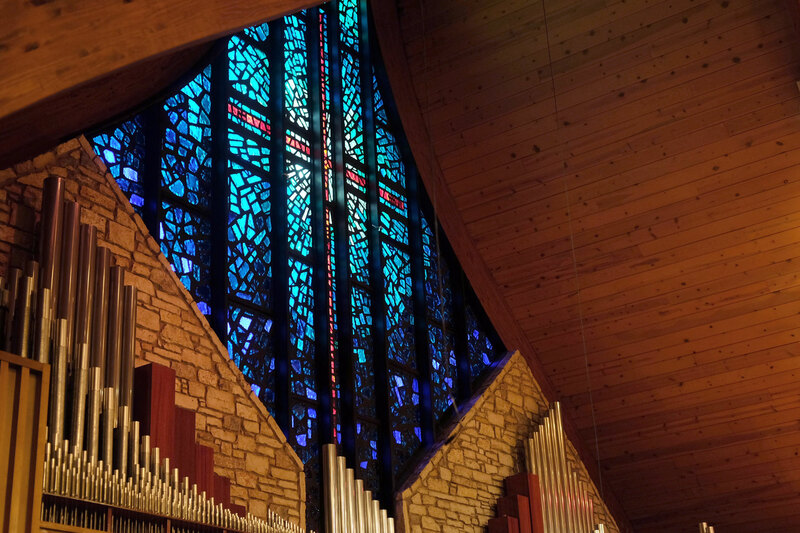 Members of both churches seek to bond together through bible study, fellowship and service as we encourage our communities to follow Jesus wherever we live, work and play. We also seek volunteers to contribute supplies such as over-the-counter medicines and baby goods, or to pray for those traveling. 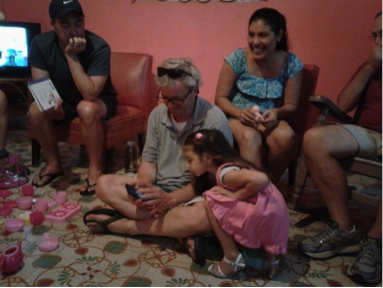 The Initial Immersion Experience Cuba Ministry trip takes place in late October or early November. 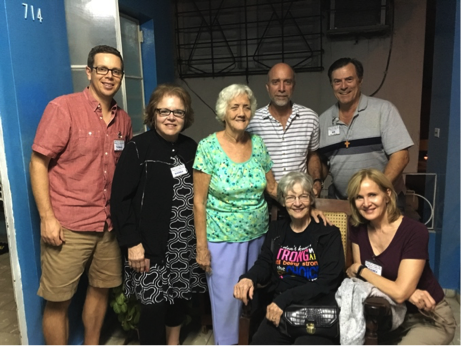 Its mission, with the help of some of Covenant’s 200 Cuba veterans, is to introduce first-time CPC travelers to Christianity in Cuba. Covenant members receive preference for registration applications received from February to May, allowing time to prepare travel documentation. Click here for a Fall 2019 immersion application. 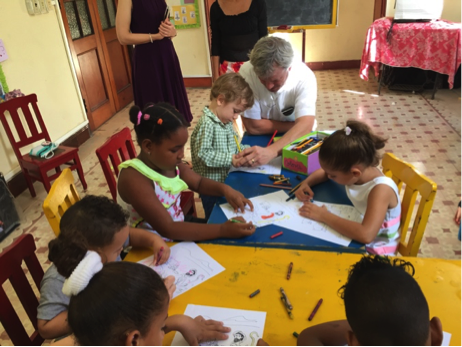 The Vacation Bible School Cuba Ministry trip takes place in July. Its mission is to assist with VBS at Luyanó. This trip is intended for Cuba veterans. While any Covenant member may apply to assist with VBS, our sister church requests that assistants from Covenant have previously spent time with the church in Luyanó. Click here for a July 2019 VBS application. 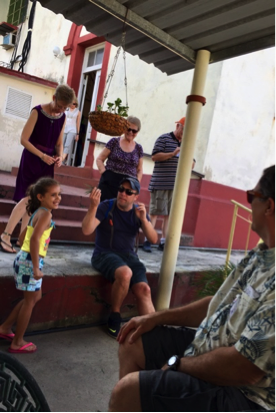 Traveling with Mission Presbytery to its sister Presbytery El Centro is a third opportunity for Covenant members. This trip visits a number of rural churches in central Cuba and does not include a visit to Covenant’s sister church. While participation is encouraged for Covenant Cuba veterans, any Covenant member may apply. More information and application will be available later this spring. For more information, please watch the video above and then contact Jack Kern.